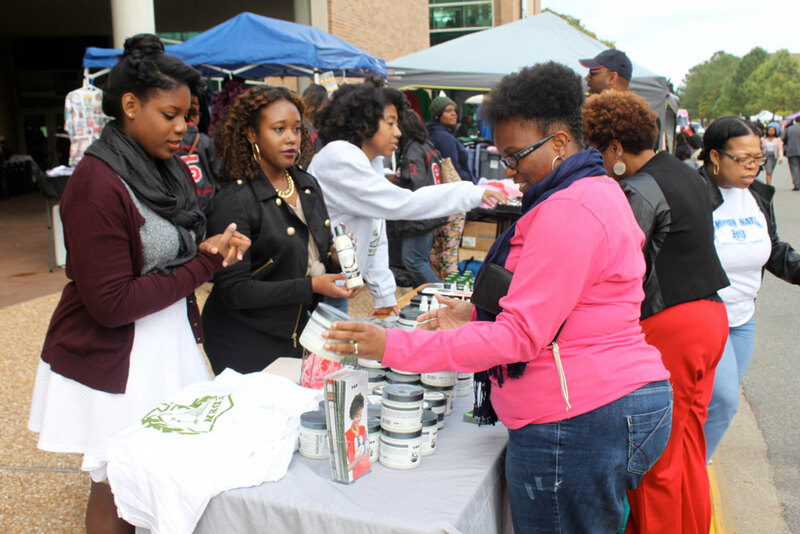 View pictures from Hampton University's "The Masquerade on Queen Street" homecoming events here. 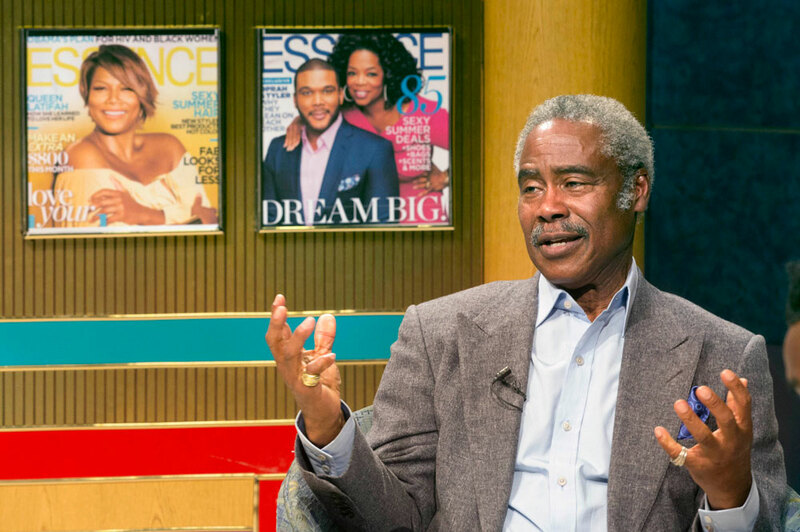 Edward Lewis on the set of "The Caldwell Café"
The Hampton University Scripps Howard School of Journalism and Communications welcomed Essence Magazine and Latina Magazine's co-founder Edward Lewis to "The Caldwell Cafe" November 5. 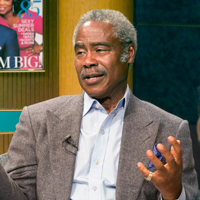 A live audience of students, faculty, staff, and the community witnessed the conversation between Lewis and HU Professor Earl Caldwell in the Scripps Howard television studio. 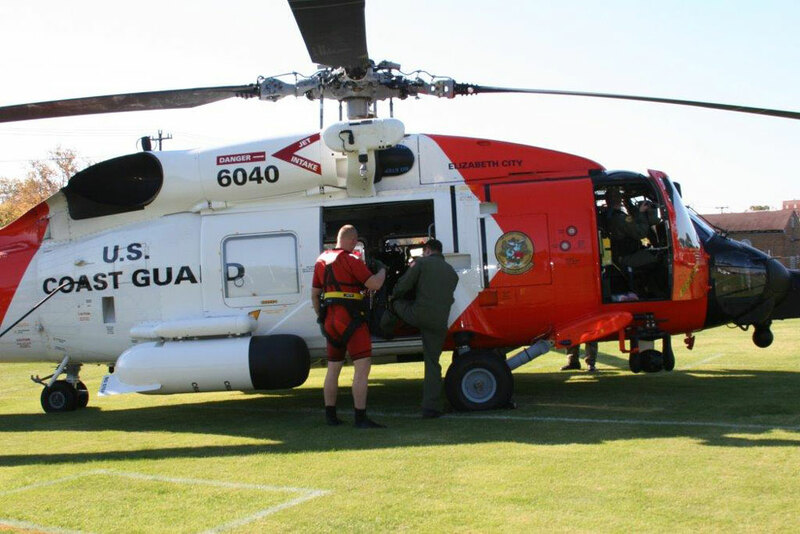 A Coast Guard helicopter recently landed on the Hampton University football practice field adjacent to Armstrong Stadium, serving as the kick off to this year's recruiting campaign for the Coast Guard College Student Pre-Commissioning Initiative (CSPI), or CSPI Scholarship. 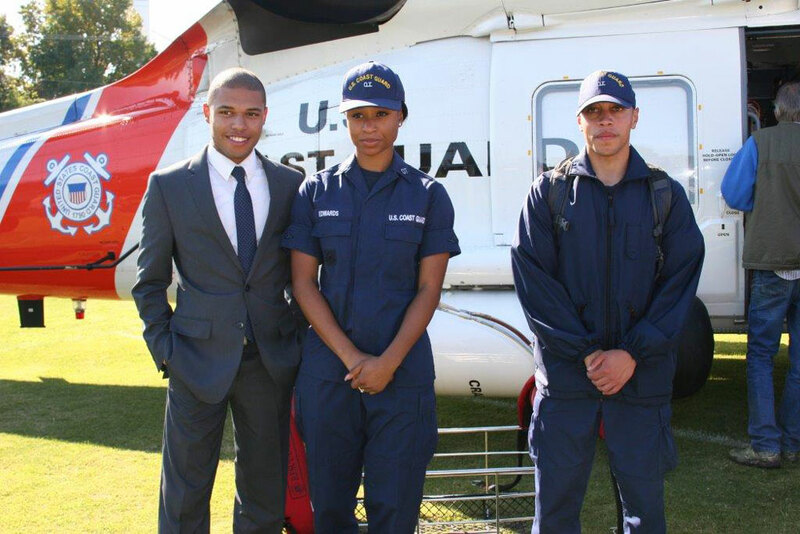 The Coast Guard CSPI Scholarship program is for high-performing students who desire to serve as U.S. Coast Guard officers. Only students attending minority serving institutions may receive a CSPI Scholarship.